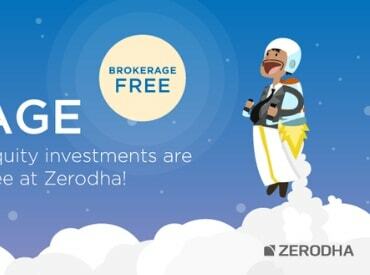 Bangalore-based online brokerage firm Zerodha is eyeing a one million client base on its trading platform from its current 100,000 in next two years. To achieve this, Zerodha is banking upon launch of trading platform in major regional languages across India by March this year. Having forayed in regional languages trading platform in Kannada, Malayalam and Punjabi, the company recently launched web based trading platform KITE in Gujarati language. Moreover, the company also plans to launch the service in Hindi language soon. "We have set a target of increasing our client base to one million from current 100,000 clients. For that we are adding new services for our clients. Last month, the company began providing trading service with zero brokerage on all delivery base equity trading," said Karthik Rangappa, vice president - equity research of Zerodha. While Rangappa admitted that the company would lose about 15 per cent revenue by offering zero brokerage for the delivery based trading, Zerodha is hopeful to cover the same through other services. The company is also educating its clients about different investment instruments available in the market. "It is a fact that we will tend to lose 15 per cent due to zero brokerage but as we have other income generating instruments, we will be able to cover this loss," he stated. In 2014-15, company's revenue stood at Rs 60 crore and its daily trading volume reached to over Rs 8,000 crore. Meanwhile, Nithin Kamath, founder and chief executive officer of Zerodha stated that the company intends to nurture investment culture by not only offering a zero brokerage investing platform but also through an easy user experience with KITE. "Our plan is to reach out to the next five million participants who are currently not investing and show them how stock market can create wealth if invested for long term," Kamath said. As part of the strategy Zerodha will be launching online trading platform KITE in all the major regional languages including Telugu, Tamil, and Marathi.